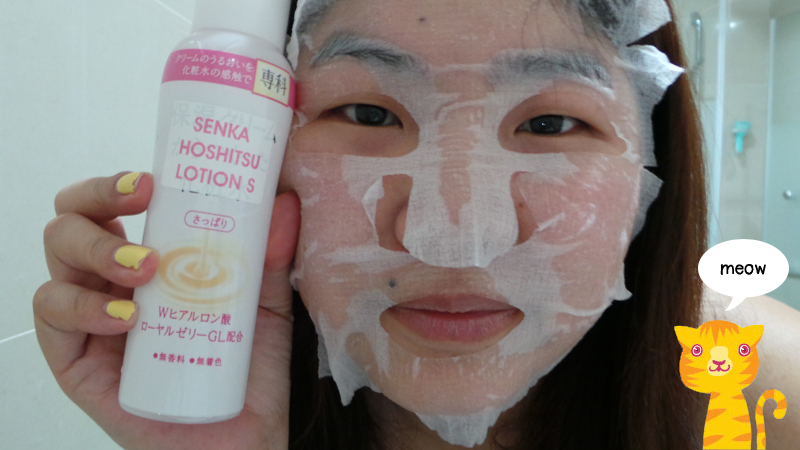 Right after the Senka's Perfect Whip, I would use the Senka's Hoshitsu Lotion S right away to moisturize my skin. These days I prefer to use a lighter textured moisturizer than cream based in the day and switch to a cream moisturizer during the evening. 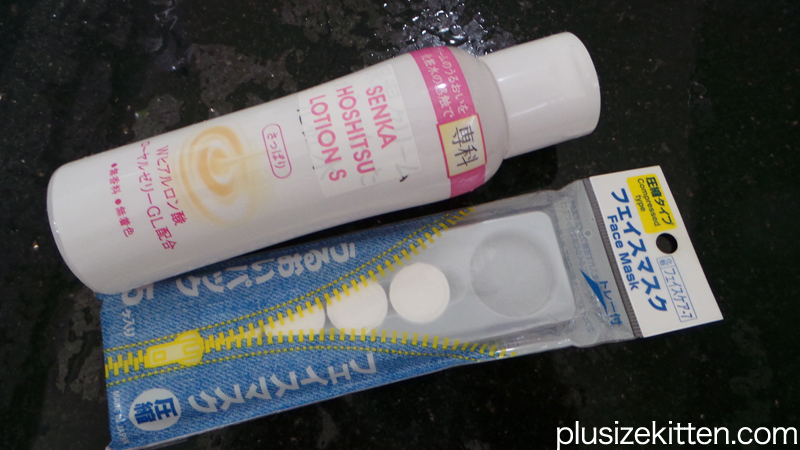 Thanks to Shiseido, I got to try the Senka Hoshitsu Lotion S for normal to oily skin in fresh texture. It's a lotion made from Moisturizing Cream created by Shiseido’s own production technology, ingredients are made into ultrafine micro-size particles and blended into a lotion. Sound even more awesome than steam cream now haha. lotion made from moisturizing cream? As good as it seems, it takes a a few mins for the lotion to be completely absorb into your skin so you need to wait before you apply make up otherwise you'll end up with weird brown patches. The wait is worth your while because your cheeks will feel soft and moist! 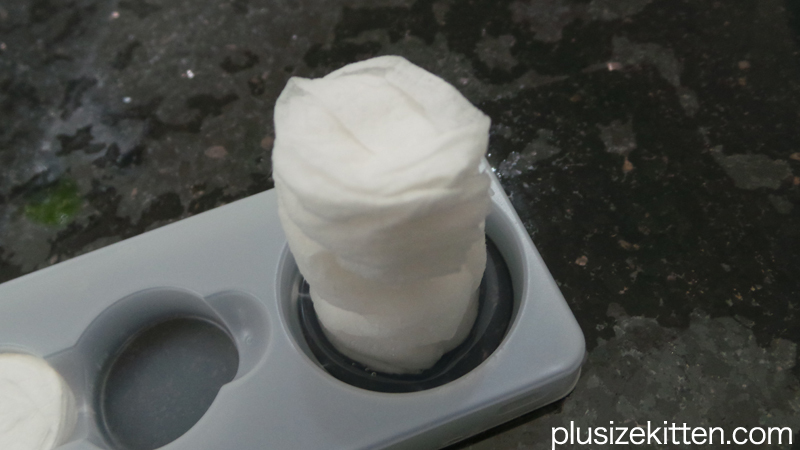 There's no sticky residue or oily film layer left behind (brownie point). 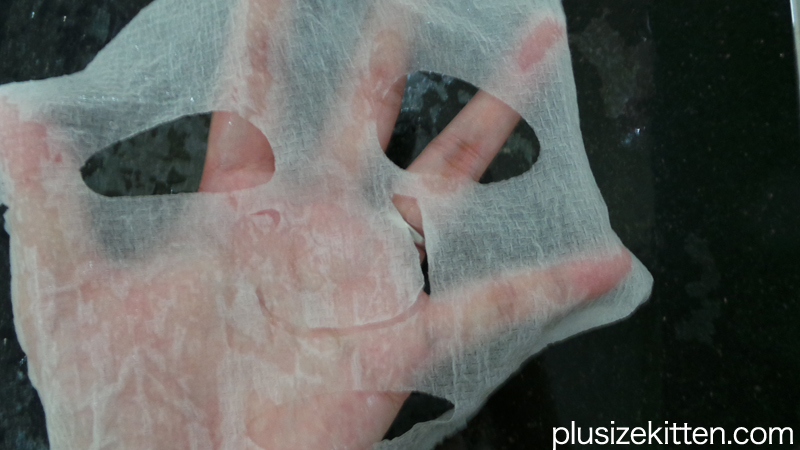 Learned from Shiseido that you can also use their lotions (like this one) as quick face mask just by DIY yourself at home using facial sheets masks or compressed facial masks from beauty counters. I got mine from Daiso for RM5. 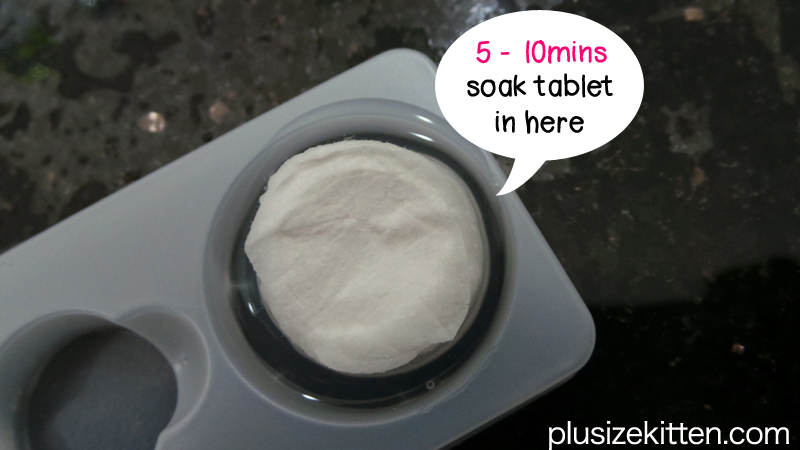 It has 5 tablets and a small container to soak up the lotion. see it grow after a few minutes! 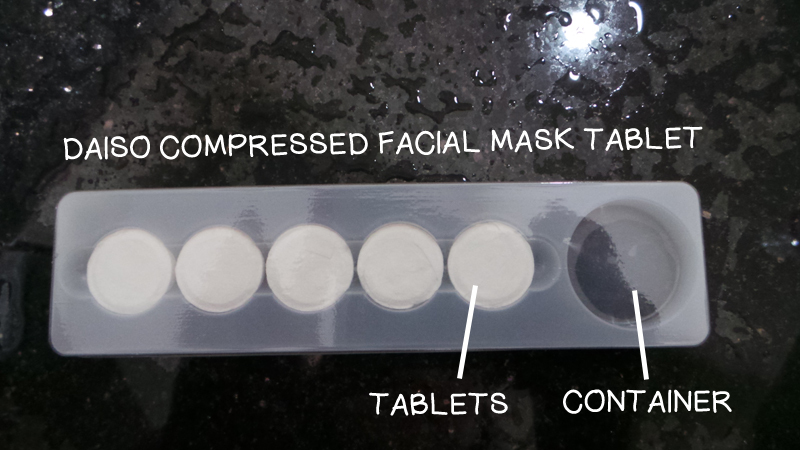 Remove the tablet after it expands and unfold it to reveal a face sheet mask. I find that the Daiso container is too small, so the mask wasn't soak entirely. If this happens to you, just pour more lotion and turn the tablet around before unfolding it. Wow my moisture meter went up 13% after using the Senka Hoshitsu Lotion mask. My face manage to stay hydrated for more than 5 hours 24hrs at 40% reading!!! omg it does work!. 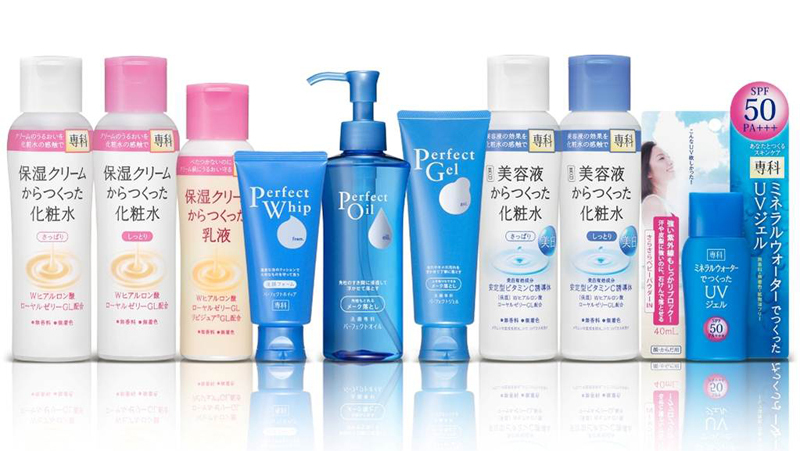 I'm definitely impressed by the Shiseido Senka's range, I want to try them all! There's a promotion going on where you can buy their 3 star products - Senka Perfect Whip, Senka Hoshitsu Lotion and Senka Perfect Watery at 30% off with any purchase of RM50 & above of Senka products in a sigle receipt. 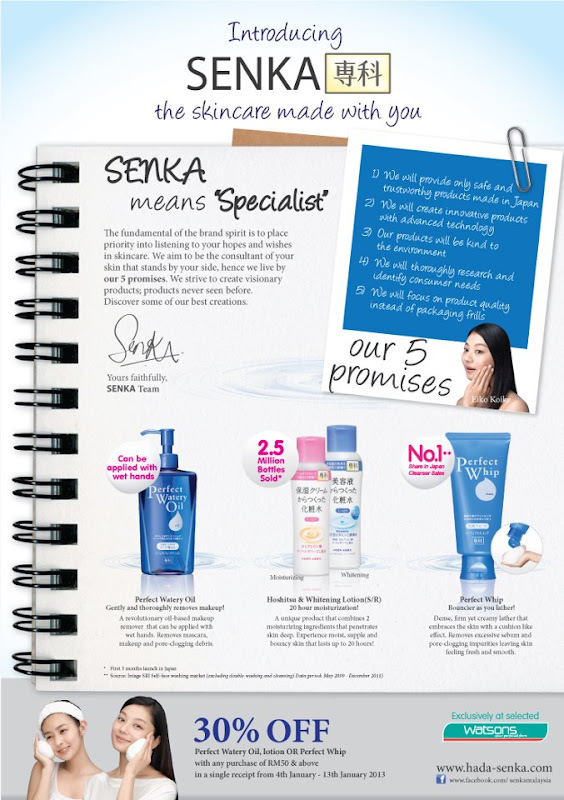 Like Senka Malaysia Facebook for updates & promotions! Love this. 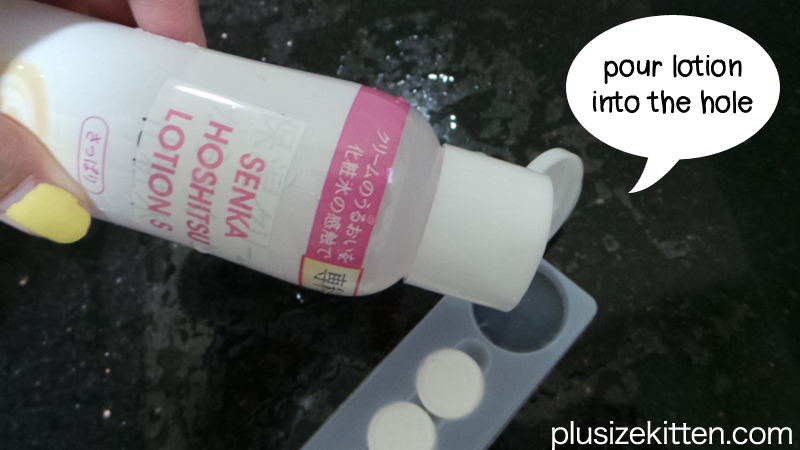 This is one of the best I've tried, and the whitening line actually does brighten the skin. I haven't got to try the whitening line yet! now that you mention it, it would be my next purchase instead of the fresh line! 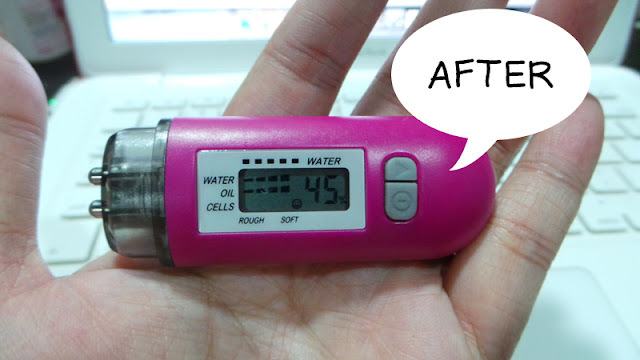 a friend went to Japan to help me buy the moisture meter :) she's currently doing Personal Shopping for it as she'll be going to Japan again on the 21st Jan. Are u interested to get it? She's charging rm20 to purchase items from Japan :) this moisture meter costs rm80. It's helpful to determine whether the products works or not, can check every hour also. Makes me review things more confidently haha! Candy is going to Japan again to buy, she's charging rm20 to buy anything from Japan. 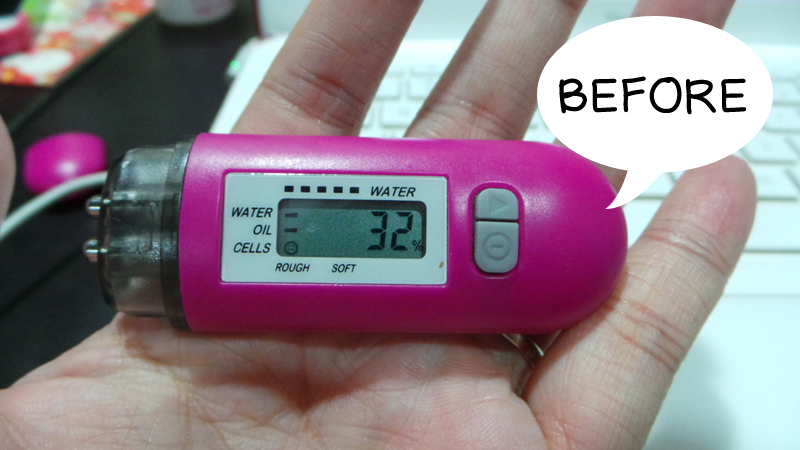 If you're interested in this moisture meter, it's retail at rm80. yeah thankfully we don't need to pay for cp charges anymore since it's so affordable in msia, especially the perfect whip which cp costs RM40? and now it's available in watsons for rm19.90. Wow! The moisture level rise so much! How much is it in M'sia? Which watson in kl can i find senka???? Btw, where to get the moisture meter? I tried this when i was travelling in Taiwan 3 years ago, was in love with it and unable to find this after that, glad that it's available in Malaysia. Do you know how much is this bottle selling at? This article was written by a real thinking writer. I agree many of the with the solid points made by the writer.